Here’s hoping for a lovely PRIDE weekend! The week long festivities ends with a bang with the PRIDE parade, which is full with fun costumes, people dancing, vendors and shops. The best part is the celebration and positivity! Afterall, “YOU BELONG”. Check out Miley Cyrus rocking minx nails at the Sydney Acer Arena on Saturday, June 26, for her Gypsy Heart Tour! “Miley wanted something really special and unique for her fingers and toes, and had already asked if I could provide Minx” said Sydney-based Zoe Vokis, who has also minxed A-listers such as Miranda Kerr, Terry Biviano,Tani Atkinson, Tony & Guy and Australia’s Top Model. Zoe’s work is also showcased throughout top magazines such as Grazia and Harpers Bazaar and her unique defining details have become her signature in the industry. Want to get minxed? Visit www.minxnails.com! It’s summer and that means your body will be exposed in many different ways. Legs, arms, toes, hands, face- everything needs to be soft and smoothe. I love beauty products. Love LOVE LOVE them. Creams, oils, anything yummy smelling I usually buy. This also comes at a price, meaning I have too much and not enough creams that work. I recently found this ONE oil, that I have now been faithful to. Palmer’s Cocoa Butter Formula with Vitamin E Skin Therapy Oil is amazing. Literally I don’t need any of my other creams, and it makes me feel so silky and smooth with no oily factor plus it smells yummy. This is a multi-purpose oil, and I’ve used it in a few ways. I’ve used it on my skin after a bath just to keep the moisture in. I’ve used it just on my legs to make them supermodel soft and shiny… (it’s my best kept secret). I’ve used just a bit of the oil on my hair, to make it soft. I use it on the ends and it actually keeps them from splitting. Another way I’ve used this oil, was to rub it on my cuticles before giving myself a manicure. It literally dries in a few minutes and was like a brand new skin every week and it has a hint of chocolate. YUMMMMMMMMMMM!!!!!!!!!!!! Almost good enough to eat. It really is so relaxing and completely dries with no greasy feel. I’m telling you ladies… and gents … you need this oil in your life. Get rid of everything else, and let this little baby work wonders for you. The bottle lasted me at least a month and a half and you can get it at Shopper’s or Wal- Mart. Have any other way to use the oil then what I have listed above?? Leave a comment, twitter me: @itstanyag or email me and let me know. I would love to try different ways to use it. No kitchen skills? No problem! The 3 most famous P’s in NYC must be Pizza, Pretzels and Pastrami. There are so many places to grab a slice that it really becomes a part of your staple. I love pizza but hate the messiness, the cheese sliding off the tomato sauce and such. A few weeks ago, I attended a snack showcase and got a sample of the brand spanking new Pizza Stuffers from Totino. Perfect for on the go, back to school and a lil tasty snack that is ready in seconds. And it’s super clean… If you need more reasons, here they are! 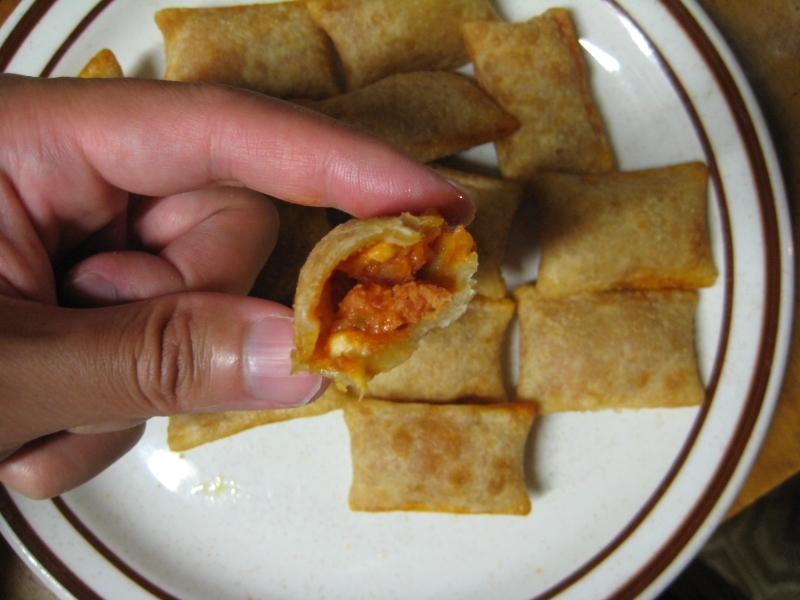 Totino’s Pizza Stuffers will be available nationwide in the freezer section of supermarkets at the beginning of August. The best part is they are under $5. With the tiny kitchen and the summer rush, no kitchen? No problem. Easy and yummy. im no housewife… but I can dress up as one! What did you guys think about her performance with Trey Songs…. IIIIIIIIIIIIIIIIIII LOVED IT!! !